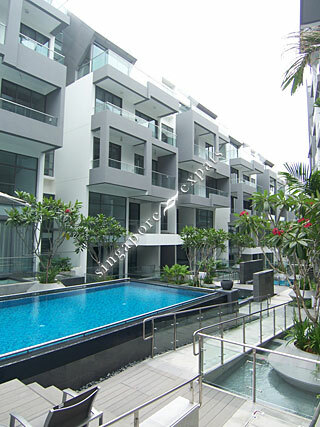 HOLLAND RESIDENCES is located at 1 - 5 TAMAN WARNA in district 10 (Bukit Timah, Grange, Holland) of Singapore. HOLLAND RESIDENCES is a Freehold Condo development consisting of 83 units. HOLLAND RESIDENCES is completed / TOP in 2012 (estimated), developed by HOLLAND VILLAGE DEVELOPMENT PTE LTD.
Educational institutions like TANGLIN TRUST SCHOOL, HWA CHONG INTERNATIONAL SCHOOL, MELBOURNE SPECIALIST INTERNATIONAL SCHOOL, NEW TOWN PRIMARY SCHOOL, NANYANG PRIMARY SCHOOL and HENRY PARK PRIMARY SCHOOL are near to HOLLAND RESIDENCES. HOLLAND RESIDENCES is accessible via nearby HOLLAND VILLAGE, COMMONWEALTH and BUONA VISTA MRT Stations.